Nina came to Greenwich Academy in 2011 as a fifth grade history teacher and rowing coach. She then became Assistant Head of Middle School, taught seventh grade English, and served on the Middle School Admission Committee. Nina also launched and ran GA’s i2 STEM Camp for two summers. Nina is a graduate of Brown University where she majored in Africana Studies and later focused her attention on acting. After Brown, Nina taught one year at her alma mater, Noble and Greenough School, as a ninth grade English and drama teacher. After Nobles, Nina went on to the American Conservatory Theater (ACT) in San Francisco where she received her MFA in acting. After several years working professionally in commercials, on television, and on the stage, she returned to the classroom where her passion for education has continued to grow and evolve. Betsy is in her twentieth year at Greenwich Academy. After spending the first five years teaching English in the Middle School, she joined the Upper School college counseling team, serving as director for 10 years. During that time, she continued to teach English to freshmen, sophomores, and seniors, and was the sophomore dean. 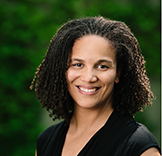 In addition, she led several student groups conducting research for the Study of Boys’ and Girls’ Lives (now called the Student Participatory Action Research Collaborative, or SPARC) at the University of Pennsylvania’s Graduate School of Education. Tara Fetzer joined the admission team in the fall 2016. Tara earned a B.A. in Philosophy from the University at Albany. She then went on to receive a Master of Social Work from New York University and is currently a Licensed Clinical Social Worker. Prior to beginning her work at Greenwich Academy, Tara spent several years in the mental health field, working as the Admissions Coordinator and Day Treatment Team Leader at The Renfrew Center of Connecticut, a treatment program for young women struggling with eating disorders. In addition, Tara has worked as a psychotherapist in private practice working with children, adolescents, and families. 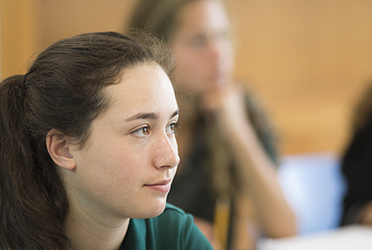 Tara joined GA in 2014 as the Lower School Counselor, a role she will continue in while working on the admission team. Tara currently lives in Greenwich with her husband, and two sons. Ann Tillman has been a member of the admission office since 1990. During the last 25 years, she has managed the day-to-day routine of the office as well as administered individual and group assessments for our youngest applicants. Ann received a B.F.A. in Studio Art and Art History from Ohio Wesleyan University. The Tillman family has been a part of the GA and Brunswick community for more than 30 years. 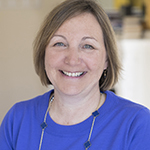 Theresa Hall joined Greenwich Academy in 2003 and teaches preschool at the Cowan Center. Theresa has a BFA in Drama/Dance from the University of Montana. She earned a post graduate Certificate of Education for ages 3–12 from the Roehampton Institute of Education in 1994, and in 2014 completed a MAT in Early Childhood Education at Manhattanville College. At the Cowan Center Theresa is responsible for developing and implementing curriculum and teaches creative movement to the preschool children. Theresa has also taught elementary and middle school art as part of the GATE summer program since 2008. An alumna herself, Jocelyn returned to GA in 2012 as Associate Director of Alumnae. She loves keeping alumnae engaged with Greenwich Academy through events, publications, one-on-one meetings, career networking, and more. Jocelyn is excited to be joining the admission team and to share her unique GA perspective. A graduate of New York University, Jocelyn has more than 15 years of experience in nonprofit programming and management. Prior to working at Greenwich Academy, Jocelyn served as Associate Executive Director of the Stamford Jewish Community Center, Director of Business Development at CommonGood Careers, and Director of Development at The Littlest Lamb. Jocelyn lives in Stamford and is the mom of three children. Elizabeth Pei became a member of the admission team in the summer of 2017. Prior to joining the GA community, she worked as a Lower School classroom teacher in New Jersey and New York for more than 12 years. In addition, she served as Lower School Diversity Coordinator for six of those years. 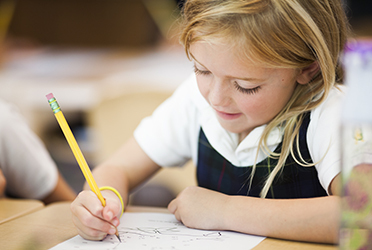 It was during her time in the classroom that she developed an interest in the admission process and a desire to connect with families from their first moment of contact with a school. 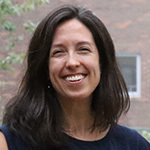 Elizabeth earned her BA in English and American Literature and Language at Harvard University and her Masters in Elementary Education at Teachers College. She is enjoying getting to know Connecticut with her husband and two daughters.